Find the best price forIs There Life After Death? Do you occasionally have that strange feeling known as deja vu? Do you sometimes feel that you know what is going to happen next? Do you ever have a strong feeling that actions you are about to take are the right (or wrong) thing to do? All these perceptions may be everyday clues to your immortality. 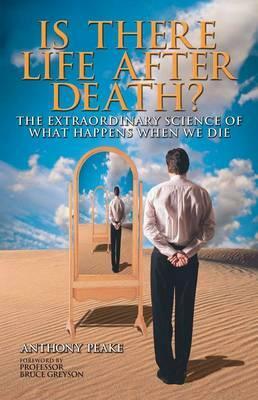 This book proposes a simply amazing theory--a theory that states that personal death is a scientific impossibility. Using the latest findings of neurology, quantum physics, and consciousness studies, Anthony Peake suggests that we never die. After reading this book you will understand the reason for your life and how you can make it better next time. Compare New Book Prices for Is There Life After Death?